Gladstone's Library will again be holding its winter micro-festival Hearth on Saturday, November 1st and Sunday, November 2nd. 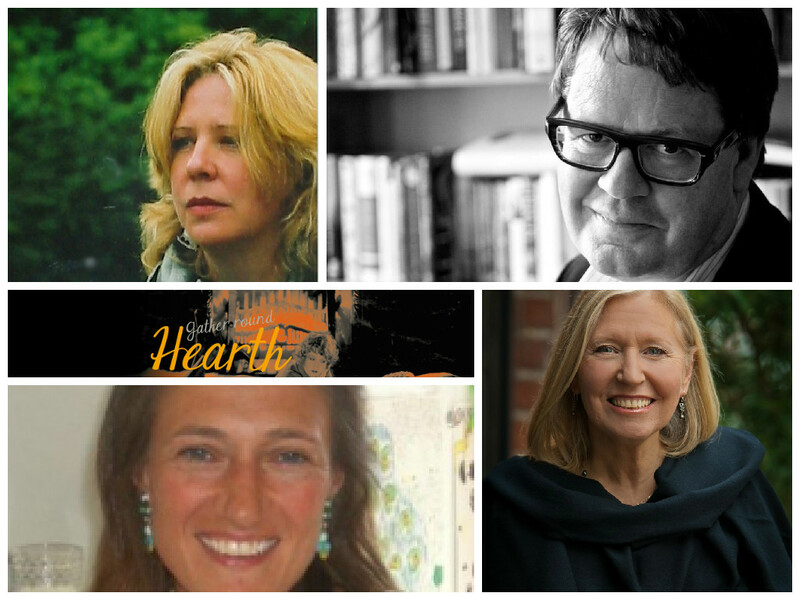 Hearth is an opportunity to meet, talk and create with four authors over a weekend of writing related activity. Lucy Gough is based in Aberystwyth and has written extensively for TV, radio and stage. She wrote for Hollyoaks Channel 4 for ten years and currently writes for BBC drama, Doctors. In 2013 she was short-listed for the new BBC Wales Drama Award and in 2014 she was short-listed for the Nick Dark award. She is a Creative Research Fellow at Aberystwyth University and has just been awarded a Creative Wales Award by the Welsh Arts Council. Her collected plays have been published by Methuen and Seren while Nick Hern has published her stage adaptation of Wuthering Heights. Currently she is under commission with the National Theatre of Wales to write a play about the artist and writer, Brenda Chamberlain. She is also working on an adaptation of Adventures in The Skin Trade to be part of the Dylan Thomas centenary celebrations touring in October 2014. James Runcie is an author, film maker, theatre director and Head of Literature and the Spoken Word at the Southbank Centre in London. His work is known for its thoughtful but humorous engagement with complex cultural questions: life, death, family. As his documentary on J. K. Rowling revealed, James does not shy away from engaging with the mechanics of creativity. As well as his role as Visiting Professor of Creative Writing at Bath Spa University, James is currently working on the fourth Grantchester Mystery, Sidney Chambers and the Forgiveness of Sins. James comes to Hearth just as ITV broadcast their adaptation of his first Grantchester Mystery, Sidney Chambers and the Shadow of Death. Be sure to tune in! Rebecca is a Gladstone’s Library’s Writer-in-Residence for 2014. She was awarded her residency for her first fiction publication, Touching Distance. This historical novel is set in the 1790s and follows Scottish physician Dr Alec Gordon as he seeks to find a cure for the ‘childbed’ fever which is killing scores of otherwise healthy women in the days after they have given birth. Hilary Mantel called Touching Distance a ‘fascinating novel with sound research put to telling use’. When not writing fiction, Rebecca is an award-winning journalist. Patricia is a Los Angeles-born author who, as she describes it, spent her childhood devouring novels about ‘England’s wet, green dales’. After a career spent teaching English Literature in Californian high schools, Patricia put those early reading experiences to good use: she now writes historical fiction set in eleventh-century England. Her first novel, Shadow on the Crown, is the first in a trilogy following Emma of Normandy, whose role as Queen Consort of England and mother of Edward the Confessor was key to the events of 1066. The sequel, The Price of Blood, is set for release in early 2015. Tickets for each day are £27.50 (£50 for both days) and includes a two-course dinner/lunch, and a question and answer event with all four authors. There's also an additional talk by Lucy Gough called The Pleasures and Challenges of Adaptation and of Writing for Radio. Tickets for Lucy's talk on Saturday afternoon before the main Hearth events are £10 and include tea and coffee. You can hear our November 2014 talks on our Sound Cloud page. The Literary Feast at Gladstone’s Library by Patricia Bracewell. Review: Hearth Festival at Gladstone's Library by Heloise Wood. ‘Hearth’ – a literary weekend in Wales by Maggie Cobbett. My expectations... were surpassed by the reality by Cathy Grimmer.